So, have you made a sincere commitment to incorporating more nutritious, inexpensive, meal-extending beans into your diet yet? 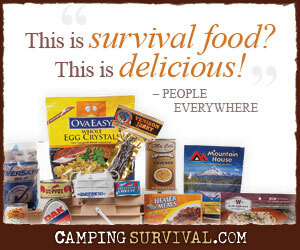 Have you been practicing rotation of your food storage? No? Okay, I understand. But I defy you to find ANYone who would not like this recipe!! It is a new family favorite. Please try it and then let us know what you think in the comments section. This originally came from The Daily Bean by Suzanne Caciola White but I have made some minor adjustments (like replacing the margarine with butter since we don’t use it). So far, we’ve enjoyed everything I have cooked from this book. In a future post, I will review some of my favorite cookbooks. Preheat the oven to 350 degrees. Grease a 13 x 9 baking dish. Beat together butter, sugar, cocoa, and coffee powder. Add eggs, beating as you go. Add bean puree and beat until smooth. Pour into the greased baking dish. Bake for 45-55 minutes (until it is set and beginning to pull away from the sides). Since we like thicker softer brownies, I use an 11 x 7 dish and decrease oven temp to 325. When it looks almost ready, I turn the oven off and leave it in for 10-15 more minutes before cooling on the stovetop. These are flour-less, so in addition to having some healthy items (beans and eggs), they will probably be good for anyone who follows a gluten-free diet. With that much sugar, I can’t claim this to be a “health food,” but it’s certainly healthier than many other sweets. Much less guilt associated with these brownies. We have a couple of children who claim to not like almost everything green and lots of other things on sight. I took to sneaking some healthy foods into things they will readily eat in addition to serving identifiable foods. They find out something they like contained the offending food and often become more willing to eat it without protest when it is served in a more obvious way. This has been true of several vegetables. Now it has been true of beans. After we have tried a new recipe that is well-liked, we often play “Name that spice” or “Guess what’s in it” at the end of dinner. After rave reviews about these brownies, I asked who could name the mystery ingredients. Joe, whose standard answers are “Paprika!” followed by “Tarragon!” went with his old stand-bys. A child who has been fooled by tasty spinach made that guess. I think squash was another. No one guessed black beans (so I WIN! 😉 ). What does this have to do with prepping? Lots! Not only are beans a great storage food and super sources of nutrition, but this variation of eating beans qualifies as a “morale booster” to me as well as a way to battle appetite fatigue. Just think- you can make your family healthier, happier, and less constipated all by serving them brownies! I have to admit to loving these brownies. They are very rich and chocolately…and healthier than regular brownies. I am wondering if anyone has tried substituting some of the butter with applesauce. Or would that destroy all the joy of these flavors? That’s a good question. I haven’t experimented with that. I think back in the 80’s, when all fats became villains, we used to substitute plain yogurt for oils and butter too. Rereading that, I feel OLD. The 80’s weren’t that long ago, were they? !